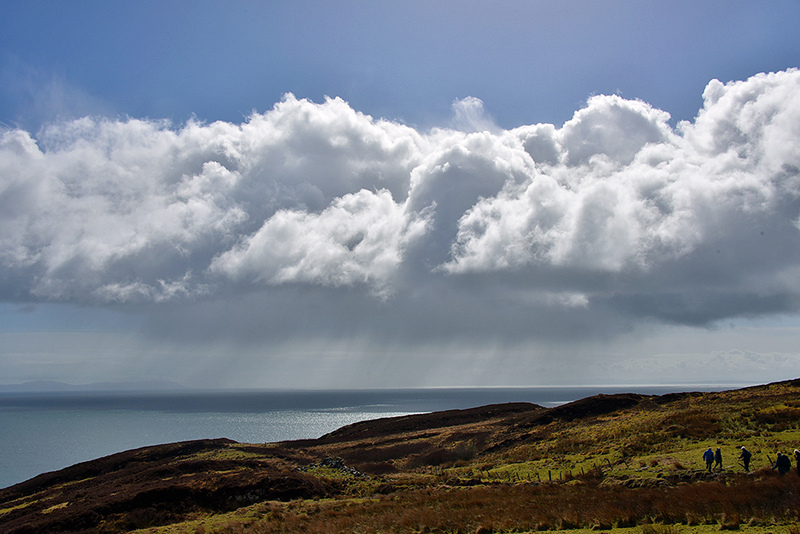 It was still nice and sunny on Islay when I took this picture, although if memory serves me right the shower here still seen over the North Channel caught up with us later. The view is from the Oa, somewhere between Port an Eas and Inveraval. In the distance on the left you can just make out Ireland. This entry was posted in Cloudy Weather, Landscape, New Post, Sunny Weather and tagged Ireland, Islay, North Channel, The Oa by Armin Grewe. Bookmark the permalink.